Had enough of that Thanksgiving turkey? Finished with all of the binge shopping that Black Friday and Cyber Monday promote? If you’d like to put aside consumption for at least one day this holiday season, perhaps Giving Tuesday is just what you’ve been waiting for. Since 2012, Giving Tuesday has been promoted as a way to make generosity a part of our holiday tradition. It was created to help steer the good cheer of the season toward nonprofits and charitable organizations worldwide. 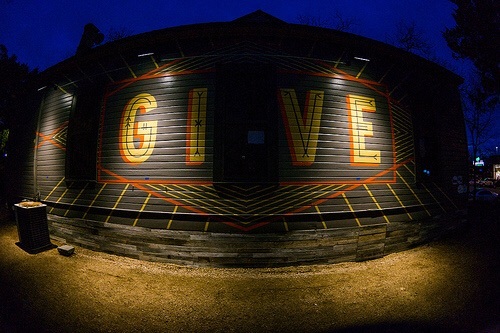 This year looks to be bigger than ever as the Giving Tuesday campaign has been embraced by more than 10,000 institutions. This year, we’re getting in the act as well. I’ll be rolling up my sleeve to donate at the Community Blood Center of the Ozarks, while our whole family will be serving belatedly at a Convoy of Hope, “Hands of Hope” event. How about you? Do you have a plan to celebrate Giving Tuesday? If you don’t, I’m sure there are plenty of efforts, both local and international,that could use a boost this Christmas season that would welcome your contribution be it your time, talents, or treasure. We, too, would welcome your help as we close out 2015 with the hope of returning to the field in the New Year. We believe in our vision, and feel that we have the partners in place to make it a reality, but we are unable to leave until our funding is secured. You can be a part of making that happen either on a monthly basis or with a one time gift by following this link. So celebrate Giving Tuesday with us. Let’s make giving part of our family’s holiday tradition!